After finishing third at the UAA Championships on Friday and Saturday with a 2–1 record, Chicago received a bid to the NCAA tournament this morning. The Maroons’ two victories came against Brandeis and Case Western in the quarterfinals and the third-place playoff respectively. They fell to Wash U in the semifinals. 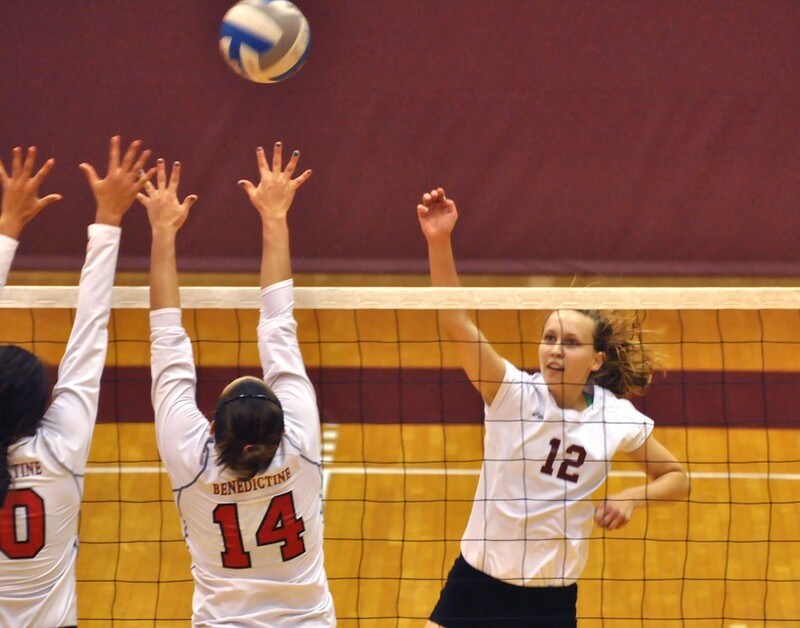 The match against Brandeis was comfortable enough, with Chicago recording a straight-sets win, 25–18, 25–13, 25–21. But the judges were never the problem. Before the tournament, Brandeis had the second worst record in the conference, and they would leave with the worst. Before the tournament started, Maroon eyes were fixed firmly on a potential semifinal match up against Wash U. After the Bears thumped Rochester in their quarterfinal match up, Chicago’s target came into view. Heading into the UAA championship, Wash U had the best record in the conference and was ranked number one in the nation—a completely different prospect to Brandeis. But the Maroons’ memories of their victory against Wash U three weeks previously were still fresh in their minds, and they believed they were good for a repeat performance. It was not to be for Chicago, however, and they fell in four close sets, 25–15, 25–23, 23–25, 25–23. Third-year Katie Huntington was the standout performer in the game, recording 15 kills and 16 digs. Third-year Nikki DelZenero was the assists leader with 45, and on defense, second-year Eirene Kim had 30 digs. “The loss to Wash U was a hard one because it was a match that could have gone either way… We wanted it bad and laid it all out there,” Clark said. It was a disappointing exit for the Maroons, who know they have it in them to beat a team like Wash U, but they were unable to sustain the high level required to beat the very best teams. Chicago didn’t have to wait long to put things right, however, and they were back in action on Saturday morning against Case Western. This time, the Maroons were able to show their quality and recorded a four set victory after responding well to a blip in the third set. First-year Maren Loe was the main offensive threat this time, recording 16 kills, while Kim had 25 digs on defense. There was no shame in going out to a strong Wash U team, and the Maroons will be pleased with the way they were able to bounce back in the third-place match. But, before they had time to fully reflect on their performance in the UAA tournament, they had a new competition to worry about. “We are just really happy that the NCAA recognized the success that we have had this season and that we are still in the running for a national championship,” Clark said. Chicago, now ranked 16th in the nation, received an at-large bid to the NCAA tournament yesterday morning and will begin its quest for a national championship this Friday against Benedictine. “We’re excited. We’re going in with goals and we’re going to lay it all out there, it’ll be a good time,” Clark said.